Atlanta luxury homes with the addition of new home designs at Leisure Ridge. The community, located in the historic city of Dunwoody, is a neighborhood like no other and is perfect for families. Residents of Leisure Ridge live in a close-knit community of 20 four-side brick, cedar shake and/or stone homes, with carriage garage doors, architectural roof shingles and sodded lawns with easy access to great shopping, dining, recreation and schools. In fact, children residing in the community attend Kingsley Elementary, Peachtree Middle and Dunwoody High schools. There are also numerous first-rate private schools to choose from. The new home designs, priced from the low $500,000s, include two-story and master-on-the-main floor plans featuring gourmet kitchens equipped with stainless steel appliances and granite countertops, hardwood floors, 9 or 10-foot ceilings, media rooms and fabulous owner’s suites. The owner’s suites boast try ceilings, large tiled showers and oil-rubbed bronze fixtures per plan. 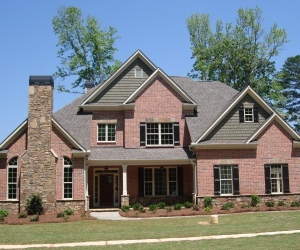 Traton Homes has been a top Atlanta home builder for more than 40 years. The builder is dedicated to providing an ‘Altogether More’ experience for its homeowners.